When creating iOS applications, the need to pick a value from a list while displaying an UITableView comes up quite often. One obvious solution to that matter, and the hard one in most cases, is to load another UIView which may contain an UIPickerView or an UITableView that will list the values you need, let the user pick the value and then get back into your table and set the picked (by the user) value. Another solution, more attractive and probably easier for the user is to display the list you need inside the UITableView that’s been shown. Perhaps that approach sounds more difficult, but once you try it you’ll find out yourself how fast, easy and beautiful solution is. Because an image equals to aWhen creating iOS applications, the need to pick a value from a list while displaying an UITableView comes up quite often. One obvious solution to that matter, and the hard one in most cases, is to load another UIView which may contain an UIPickerView or an UITableView that will list the values you need, let the user pick the value and then get back into your table and set the picked (by the user) value. 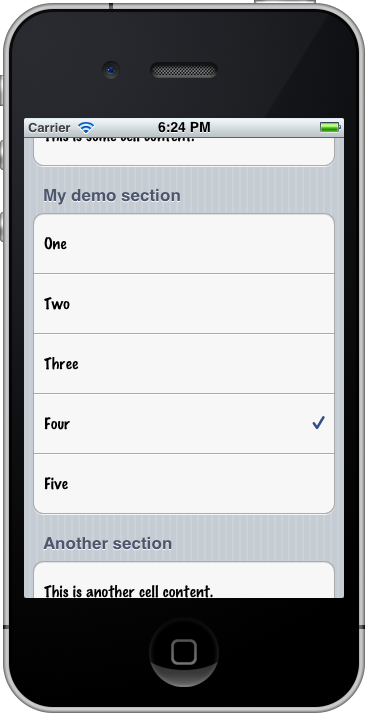 Implementing a drop down list inside an UITableView is not hard and it complies with the way that an UITableView works. 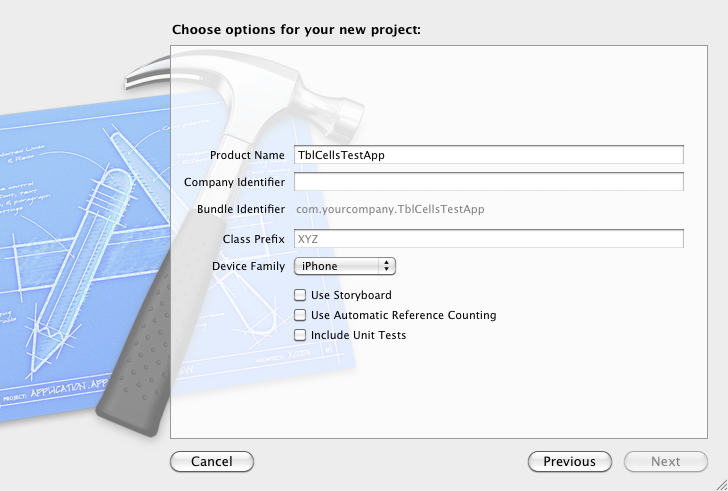 For this example we’ll create a new project, named TblCellsTestApp (you can name it anything you like, I’ ll give it that name). Note that I use Xcode 4.2 (which I’d suggest you use it as well, if you don’t already do), so if you use an older version of the Xcode you may notice some differences in the interface and in the view controller names. Before we go any further, let’s discuss for a moment what the idea is. To make it more clear we’ll base the explanation on this example. 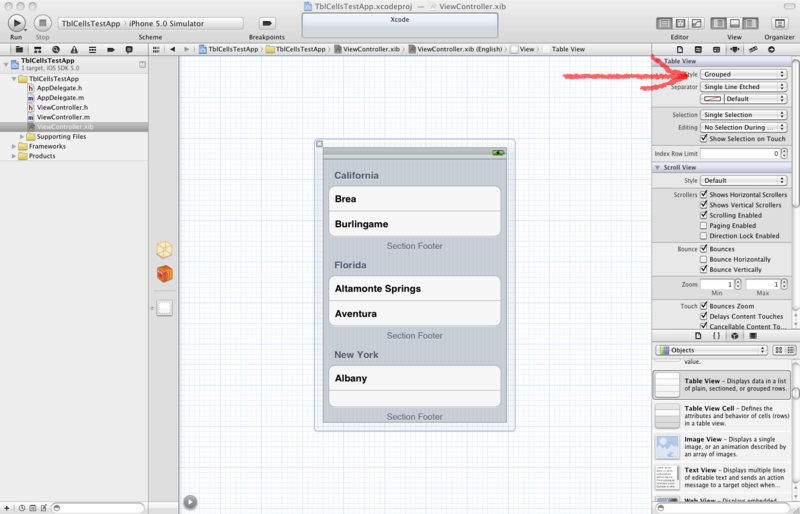 In this project, we’re going to have three sections in our UITableView. The first and the third section will just exist in there, we don’t care about them and we’ll use them just to make our table view more rich. So, we are going to give in both of these sections just one row, with a single, standard text inside them. What we care about is the second section. While being in normal state, which means that no picking item from a list is needed, we’re going to display only one row, containing the selected value by the user, or the pre-selected value by the view when it loads. 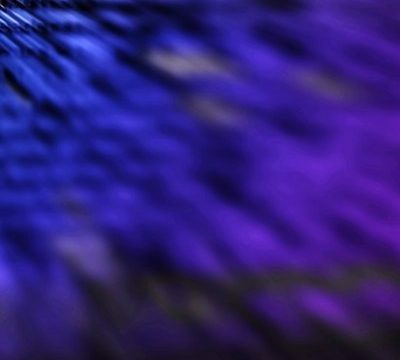 On the other hand, while being in picking item state, the number of rows for the specific section that will be displayed will match the number of our data, which will reside into a NSMutableArray array. The transition between the two states will be taking place as simply as possible. By tapping on the single row, the section will animate an expand and all the values of our array will be shown, one in each row. By tapping again on any value, the list of the rows will collapse and the picked value will show up in the single row. We’re going to know what our state is at any time, simply by using a Boolean variable, or in other words a flag. Inside our project that flag will take the name “isShowingList”. When that flag is True (YES), then all of our demo values/items are being displayed in our section, one in each row. When that flag is False (NO), then the list is not shown and we’re in normal mode. Let’s begin with the implementation. 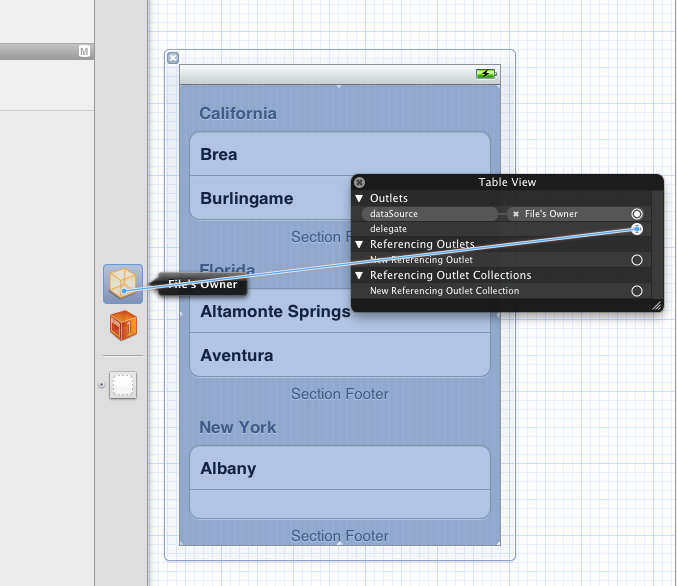 table: the UITableView we’ll use. 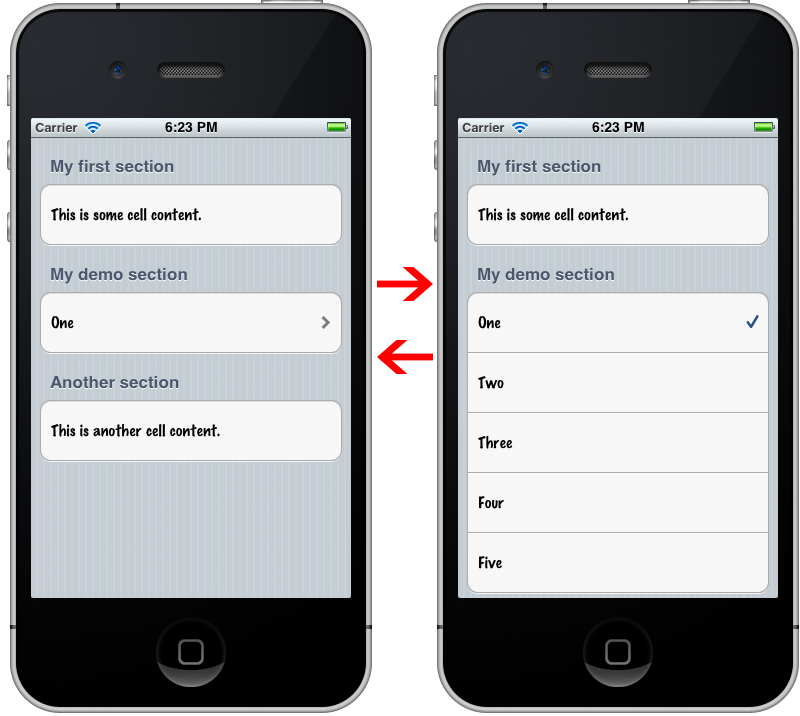 dataForSection0: The string value that will be displayed into the row of the first section. 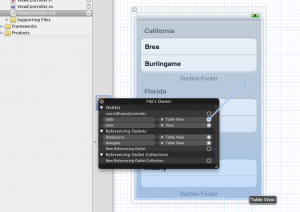 dataForSection2: The string value that will be displayed into the row of the third section. demoData: An array that will keep the values/items we need to display or to pick from. selectedValueIndex: An integer value that will show at any time the index of the selected value inside the demoData array. isShowingList: Already mentioned about it. Our state indicator. // For the beginning, let's give some values to the strings we declared. // Those values will be displayed in the first and the third sections. // Let's preprare our actual test data. // We'll give five values, from one to five. // Initially, the isShowingList value will be set to NO. // We don't want the list to be dislplayed when the view loads. // above will be set as selected. // We'll do that by pointing to the first index of the array. // zero to four (0 - 4). // Customize the number of sections in the table view. // We are going to have only three sections in this example. // The number of the rows is depending on the section index. // The sections with indexes 0 and 2 will have only one row. // it should exist only one row. // number of rows should match the number of the items in the array. How about adding some header titles in our sections? // Add header titles in sections. // Set the row height. // Let's set another font for the cells. // Depending on the section, the appropriate data will be displayed. 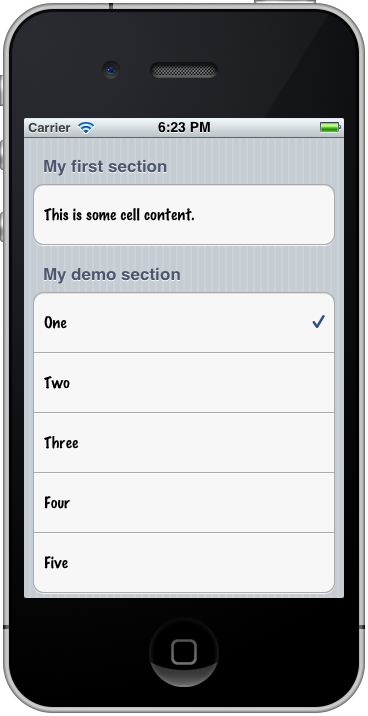 // We'll set the dataForSection0 string value to the cell of that section. 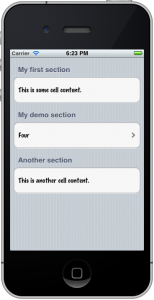 // We'll set the dataForSection2 string value to the cell of that section. // is displayed, containing the selected value. // and all the items of the demoData array should be used. // Not a list in this case. // index matches the selectedValueList. // tap on that cell. // Listing the array items. // We'll display the checkmark next to the already selected value. // where the [indexPath row] value is equal to selectedValueIndex value. // We don't care about taps on the cells of the section 0 or section 2. // We want to handle only the taps on our demo section. // The job we have to do here is pretty easy. // 2. Change the value of the isShowingList variable. // 3. Reload not the whole table but only the section we're working on. // variable is set to NO. Ready to go! Our test app is ready to run now! Test it and see the results. That’s all! I hope that post will help you and you find it really useful. This tutorial was transferred as it was originally written in my blog, therefore some techniques, tools or SDKs may have changed since then.